Sometimes a little stress can be motivating, but unrelenting stress can cause emotional and physical harm. Stress is emotional pressure that we can inflict on ourselves just as easily as stress is imposed on us externally. Unrelenting stress intrudes into our sleep, diminishes our mental and physical abilities and impacts our relationships. Sometimes stress is so prevalent in our lives that high levels of stress feels “normal”. It’s not until a panic attack or a heart attack does our body let the mind know that too much stress is too much stress. Almost everyone I’ve helped during the last 8 or 9 years had ongoing issues around stress. 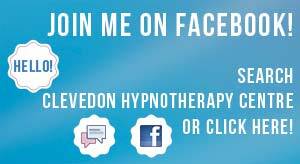 Hypnotherapy helps a person manage stress, or diminish stress not completely eliminate it. Don’t wait until the panic attack or the heart attack to seek help. Stress can be lessened and managed.